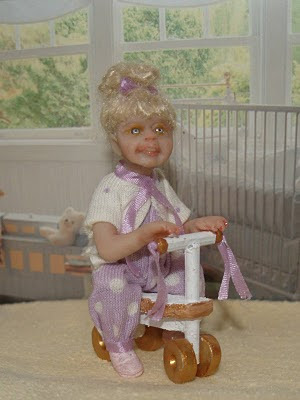 Little Missy, tiny 2 yr old toddler complete with hand made trike. 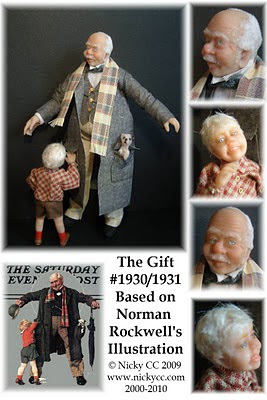 The Gift - 2 doll set based on an illustration by Norman Rockwell. 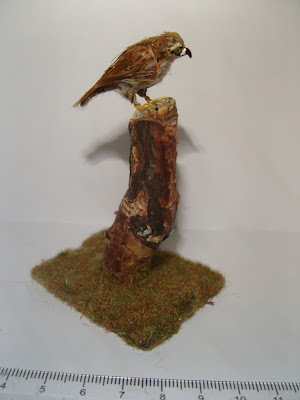 12th scale Buzzard hand sculpted, hand painted and feathered. I have two of Nicky's sea gulls. They are so detailed! Perfectly made!